Spanish style outdoor shower with tile inset in slab. 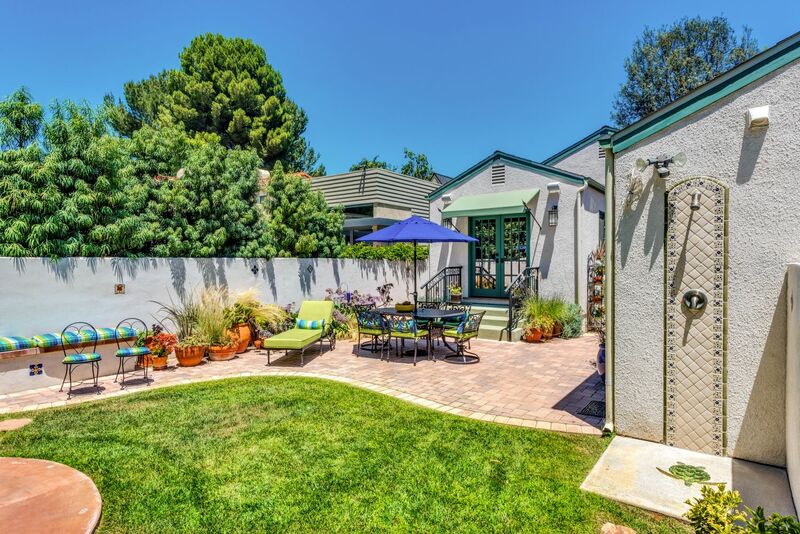 A remodeled backyard with new custom outdoor shower for easy access to the pool. A Spanish tile pattern and an inlaid turtle mosaic compliment the style of the house.